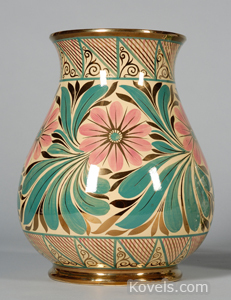 Caneware is a tan-colored, unglazed stoneware that was first developed by Josiah Wedgwood about 1770. In 1795, caneware game pie dishes were made to look like the pastry crust of a game pie. Caneware has been made by many companies since that time and is often used for cooking or serving utensils.